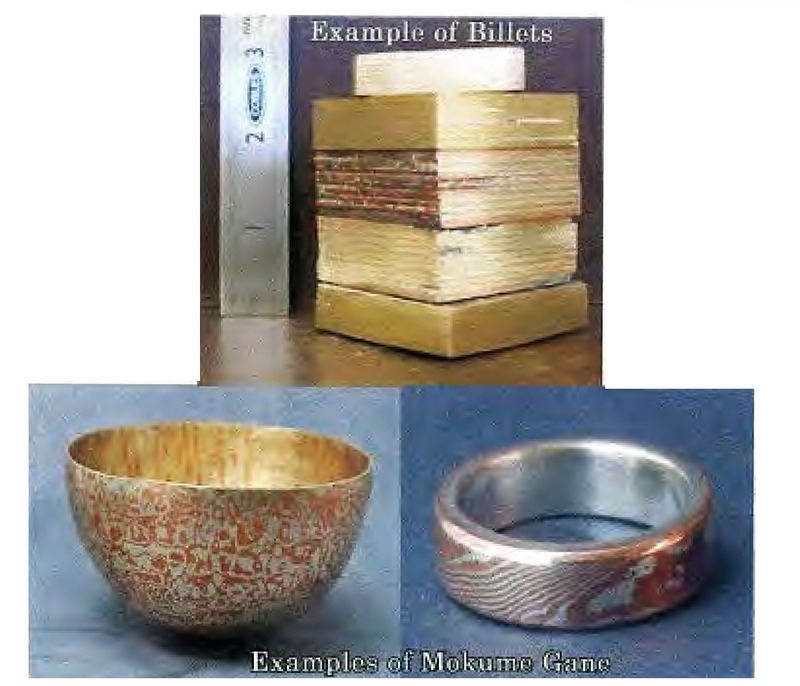 Mojume Gane (pronounced mo-KOO-may GAH-nay and correctly spelled Mokume Gane) literally translates as "wood-grained metal" or "wood eye metal". 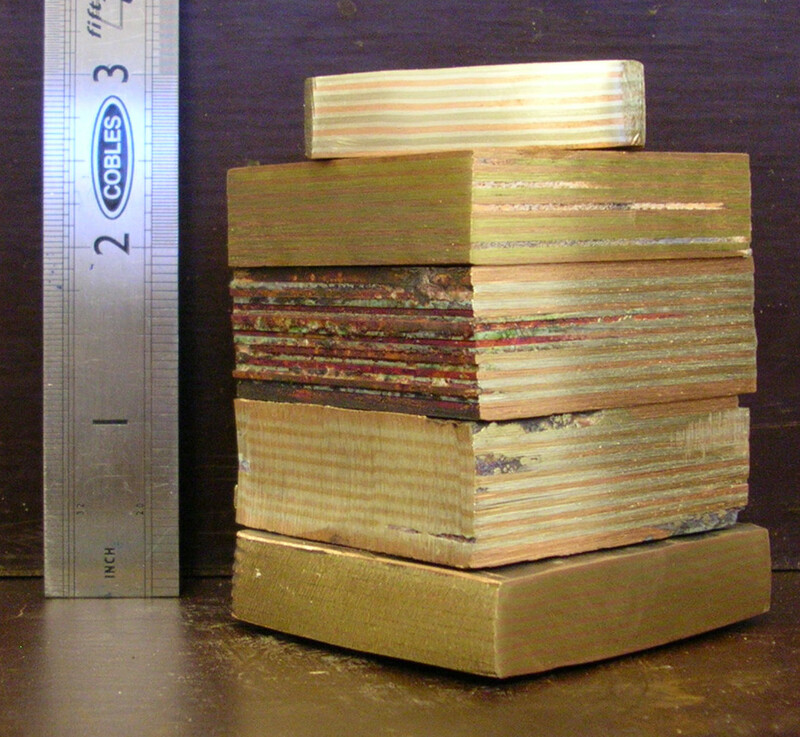 It is an ancient metalworking technique that enables metal artists to produce multicolored sheet stock in a wide variety of patterns. Originally created 300 to 400 years ago by Japanese swordsmiths as decoration for their swords, it is totally used by a small number of designers to create their own distinctive art. 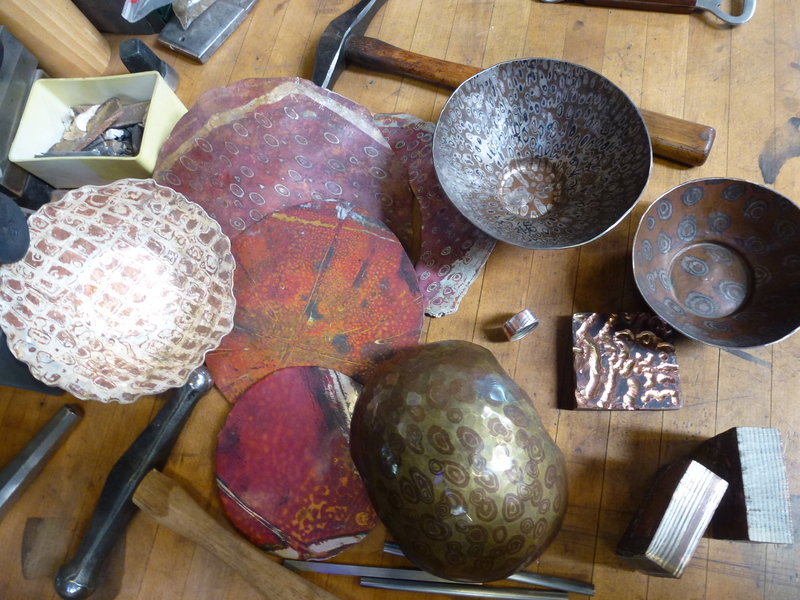 The creation of mokume requires repetitively annealing (heating to "soften the metal" making it more malleable), rolling, twisting and gouging the metal with burrs. Each piece is carved by hand using a drill to achieve unique patterns. $275.00 - brass & copper billet, handouts, demonstrations, group and one-on-one instruction. Bring an open mind, notebook, natural fiber work clothing, work boots, gloves, and eye & ear protection. Tools and facility use will be available. Class limited to 10 people.